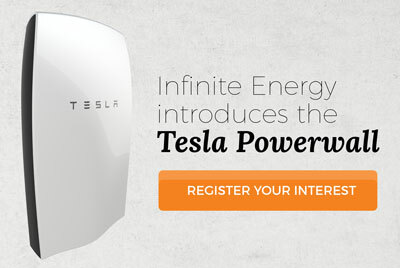 At Infinite Energy, going off-grid is one of the most popular enquiries we receive. And it’s no wonder - a 2015 CSIRO study confirmed that up to one-third of all consumers may consider leaving the grid altogether in the near future. While the concept of leaving the grid and achieving 100% energy independence is appealing, especially in the face of ever-rising electricity prices, there are a number of very important things to consider before you take the plunge and go off-grid. 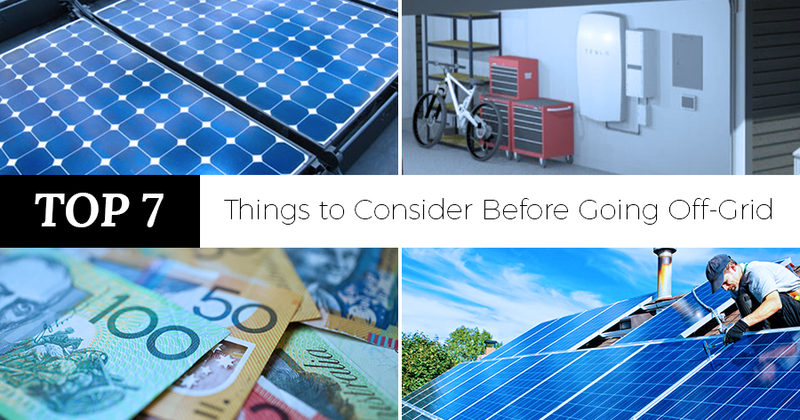 To help you make a well-informed decision, we’ve compiled the top 7 things to consider before you decide to leave the grid for good. When it comes to residential applications, solar PV systems are a clear choice compared to other renewable energy sources, including wind turbines. Clean, practical and accessible, solar PV systems are easy to install and repair, require low maintenance, and are designed to operate in a variety of conditions. If you’re wanting to go completely off-grid, not just cover part of your power bill, you’ll need to carefully assess the amount of roof space you have available. Will you be able to fit enough solar panels to cover your entire energy needs, with no support from the grid? In addition to considering the size of your solar system, you’ll need to consider the size of your battery. Your battery typically needs to be large enough to store and supply your household with all its energy usage for 24 hours. Continuous days of cloudy weather, and the occasional maintenance requirement means that your off-grid system should include a back-up generator. Back-up generators can be either petrol or diesel and can be configured to start automatically or manually controlled by you. To determine the payback period for going off-grid, you’ll need to consider the purchase price of your solar system, battery system, and back-up power generation. You should also consider future maintenance costs, and the price of electricity. The payback period for an off-grid system is typically 10 years. However, it’s worth noting that if you’re building a new property in a rural area, it may be more affordable to construct an off-grid system than it would be to connect to the grid. A good first step is to obtain an estimate from Western Power for the cost of connecting to the grid, so you can determine how much an off-grid power system will save you. Appliances like air conditioners and pool pumps create very short, very high spikes of electricity demand. Our off-grid power systems are designed to handle these power spikes. Most people who choose to leave the power grid and be completely independent do so because it will allow them to connect appliances that Western power will not. Infinite Energy can custom design an off-grid system to equip any appliance, so you don’t have to make any compromises to your lifestyle. When you go off-grid, maintaining your power supply is no longer Western Power’s responsibility – it’s yours. It’s up to you to organise regular services to ensure your system is safe and performing correctly. The benefit is you don’t pay for Western Power to maintain its assets on your behalf. Utilising modern communication technology, we can provide a smart system that can be monitored from anywhere in the world, minimising maintenance costs. If you’re considering moving in the future, you should assess whether an off-grid power system will enhance the value of your property in the eyes of a potential purchaser. For some, an off-grid system is an asset and with more people seeking independence from network retailers, an off-grid system would make a desirable and valuable investment. Clearly, going off-grid involves a lot more than purchasing a "one size fits all" solar battery system. Electricity is an essential service, but one that has a steeply rising cost curve. Going off-grid will put you and your family in control of how you use power and the corresponding size of your investment. For more information about solar battery systems and if going off-grid is right for you, request a callback from one of our expert energy consultants.